The team was great, the house was beautiful and cozy. Our stay at the Riverside condo was very comfortable. The condo had everything we needed including a massage chair, great after a day of skiing! The two queen beds had tempurpedic matresses, very comfortable. The living area had a nice big comfortable sectional perfect for relaxing after a long day. We had a great time and we would rent again. The All Mountain Rentals team was very friendly and easy to deal with. They gave me all the information I needed in a very timely manner. They made it exceptionally easy to access the property with clear directions to get the key after hours. We truly enjoyed our vacation rental. 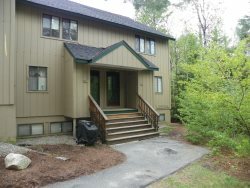 It was easy to rent, clean and very convenient location to many different tourist attractions (Loon Mountain, Ice Castles, etc...). Kathy went above and beyond to find the perfect rental for our family. Beautiful home, we enjoyed our stay in the Mountains. The Team was very helpful and was quick to respond to my inquiries. We enjoyed our time at the rental property, it had great views of the mountains and the village below. We felt that the cost of our stay was pretty fair, check in and out was very simple, our accommodations were very nice and met our needs. If the need arrises again we would not hesitate to stay here again. its a very nice place to spend a quite time, away from everything , property is clean and cozy, will definitely go again. Kathy has been great to work with. I've used her devices twice now and will be talking to her soon for other possible winter and spring trips back to the area. I enjoyed working with Kathy to find the right property for our group! Very professional... Made the process very simple! We would definitely use All Mountain again in the future, and recommend friends n family. Very helpful and with any and all questions. Very nice to deal with. A great time, relaxing in the condo and golf a few days. We had a wonderful stay. The condo had everything we needed such as towels, sheets, plates, etc. Very clean! All we had to bring was our suitcases. The pool was also very nice. We would definitely stay again! I was very pleased with how quickly my questions were answered. The condo was amazing in that whatever I needed it was there. This condo has every utensil, pot, pan, cleaning supply, etc. If I thought "I wonder if they have ? ", as soon as I looked for it they had it. The wrap around couch was a perfect set up for the living room. The wireless worked perfectly. The gas grille came in very handy. The bed set up was great. It was such an easy walk to the recreation center, pools, and Town Square. If you have a large family this is the spot for you. Excellent - Jessye who checked us in and out on Saturday's was excellent, personable and very knowledgeable. Excellent - highly recommend the property the view was breath taking... and the condo fit our needs in every category. Thank you Kathy! Superb customer facing team representing excellent properties. All of us agreed that our stay could not have been better! Nice work and great communication. This was a beautiful property. Reserving our vacation home was quick and easy. Kathy is very pleasant to work with, and gave excellent detailed directions. Check in was very fast. I will definitely recommend All mountain rentals. The house was very clean and beautiful. Quiet and private. The view was gorgeous. We have been staying at Owl nest condo's for many years.Rental now are smoother than ever ! Thanks Kathy !